Welcome to Stoptober, the month when millions of UK smokers attempt to kick the habit. But how can employers help their staff along the road to a smoke-free life? Sirona Care & Health's Martyn Price has these tips. 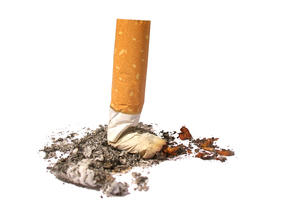 Many thousands of people struggle to quit smoking each year. This is why national campaign Stoptober, which gets underway this week, is encouraging smokers to band together in the first ever mass quit attempt. Smoking causes extensive damage to the health of workers and their colleagues, as well as costing companies an estimated £2bn a year: £1.1bn from smoking-related illness absences, £914m from smoking breaks and £133m from fire damage. If you are serious about encouraging a smokefree work environment, you could try providing free NRT products (patches, gum, lozenges, microtabs, nasal spray or inhalators) to staff wishing to quit smoking. A 2009 study by the London School of Economics estimated that companies lose around £2 billion a year due to smoking, so a small investment into helping people quit could offset vast future expenditure. By creating a culture of good health in the workplace we can encourage people to improve all aspects of their health. Quitting smoking is just one part of a healthy lifestyle. Addressing healthy eating, physical activity, alcohol and substance abuse, mental health and wellbeing should also be part of an employer’s responsibility. After all, a healthy workforce is a happy workforce. Being short of time is often the reason people give for not being able to attend a course of stop-smoking sessions. If you are feeling especially generous, you could allow workers time off to attend sessions at a local clinic – in the same way that people are able to go to doctor and dentist appointments during work hours. They will probably make up the time lost in the long run, anyway. They won't be taking all those 10-minute smoking breaks! Promoting national awareness campaigns in the workplace is a great way to get people to stop and consider the benefits of quitting. There is strength in numbers and by banding together, there is more chance that people will be spurred on to quit. It sounds a bit 1984, but the fact is that lots of staff will be unaware of the local service available to help them kick the fags. And, with so many jobs requiring people to sit in front of computers all day, it makes sense to promote local stop smoking services on computer screen savers. Providing associated literature and leaflets in staff canteens, kitchens and break rooms will also improve the chances of workers finding out about what services are available locally. Incorporating quitting as part of a broader activity and charity event could prove to be the incentive that people need to quit. Regular training sessions would improve general health, distract from the difficulty of quitting smoking and could culminate in a charity walk, marathon or tournament. The ban on smoking in public spaces came into effect in 2007 and has undoubtedly caused people to think about smoking in a new way. Changing the physical environment of the workplace is as important as changing attitudes so eliminating areas in which smokers can convene socially will encourage smokers to think again when heading out for a cigarette break. It’s time to take down those old-fashioned smoking shelters. Encouraging colleagues who have quit smoking to share their own experiences will demonstrate to staff the benefits of quitting. If ex-smokers can champion the cause and take an active role in supporting quitters in the workplace, people will stand a much better chance of succeeding themselves. Providing direct access to stop smoking support in the workplace is a great way to demonstrate that employers are committed to helping their workers quit smoking. Specialist stop smoking advisors can be invited into workplaces to support small groups of workers through a course of stop-smoking sessions during lunch breaks. Lead by example. Supporting initiatives and providing the means for others to take action is a good start but the message will have much more weight if the bosses get involved too. Working together towards a common goal will also improve communication and morale within the workplace.